On March 24, the Republican senators voted 50 against 48 to allow the American Internet service providers share or sell users’ sensitive data to the third parties without any customer consent. Such a move is likely to grow into a real historical privacy setback and make ISPs actual “invaders of subscriber privacy”. The rules, accepted by the Federal Communications Commission (FCC) in October 2016 and defending the basic rights of digital citizens, will get completely eliminated only when the House of Representatives approves the resolution made by the US Senate, which is almost a done deal given the number of Republican representatives in the House. For now, the Internet privacy advocates strongly recommend connecting via non-free VPNs able to keep your traffic relatively safe from suspicious monitoring: luckily, we have detailed reviews of VPN service providers to help you make the right choice. Users’ Internet privacy was first being protected by the Federal Trade Commission, until Internet providers were granted the status of ‘common carriers’ and got solely regulated by the Federal Communications Commission in 2015. Last year, the new agency, then led by Democrats, introduced strict rules related to the incompetence of broadband providers to sell their customers’ browsing history data without permission: ISPs would still have monetization opportunities, but those would be limited by a formal process of approval. Since no one likes limitations, the key ISPs such as AT&T, Verizon, and Comcast rolled out a powerful lobbying campaign supported by their Republican allies. Subsequently, the US Senate held an intense debate over the issue taking its peak on March 22-24, which resulted in a vote to eliminate the FCC rules: the Senate just gave any telecom provider the right to monitor and share the Internet users’ geolocation, financial, app activity data, search and browsing history with advertisers and partner companies. As soon as the bill passes through the House of Representatives and is signed by President Trump, the FCC online privacy rules will be irreversibly overturned: this is because they apply a rarely used legal tool known as the Congressional Review Act (CRA). This exceptional legislative measure (if taken) implies inability of any state agency to implement “substantially similar” rules in the long run, which means no chance to protect the Internet privacy. The only person able to veto the whole process is President Trump, who has always stayed on the side of big businesses craving for minimal regulation – no chance here. 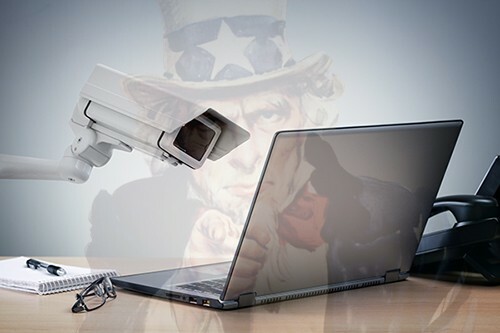 The new privacy law will totally change the whole digital ecosystem and violently suppress consumer rights of the American Internet users through a direct intrusion into their personal lives. VPNs will become must-haves for those who respect their own privacy and care about security in a way. Interestingly, while ACLU, Free Press, and Public Knowledge strongly criticize the US Senate initiative, there are quite many defenders of the upcoming changes – for example, trade groups. The Republicans themselves justify their law initiative by the confusion that was created when FCC rules came into power, since those were only applicable to ISPs and pass by such web giants as Facebook and Google, actively selling users’ browsing history. By the way, here comes the reason why ISPs are so enthusiastic about the US Senate vote: finally, they can make “fair” profits on their customers’ private data. Previously, the provider companies claimed FCC rules to be burdensome and truly unnecessary. As soon as the American Internet users get officially deprived of the right to agree or protest against sharing their personal data with third parties, they will have nothing else but somehow shield their online activity. For that, it is possible to hide your IP-address by connecting via a VPN that encrypts all the traffic by default. Be sure to find a good VPN provider, preferably non-free for a higher security level, in case you are settled in the United States or just traveling, even before the new broadband privacy law comes into power – you never know.